BBS Adventure: Bulgaria Enduro riding motorcycle holidays videos and galleries. and image galleries from our #BBSAdventure Enduro holidays in Bulgaria. BBS Adventure: A Bulgarian Enduro guided holiday that will take you to your limits. Tight single tracks, rock beds, river crossings, the steepest accents and descents you will ever ride that will test you and your brakes to the limits. High altitude, deepest and steepest forests, gully's and mountains; we have all the extreme enduro terrain on our doorstep. Bulgaria is where the soaring summits leave you breathless, the forests that echo with the cry of Europe's remaining wolves. Epic views, great food, very friendly people, ancient culture and wilderness. We will take you higher. Ride with the best Bulgarian Enduro tour company. We can ship your own motorcycle return to Bulgaria or you can rent our latest model SWM RS 300R Enduro bikes fully prepared for your motorcycle holiday. We are package tour regulated, your monies are held safe in a vaulted bank account until after your tour is run, fully insured, risk assessed, fully licenced airport transfers, basic first aid trained guides, all our Bulgarian enduro tours / holidays come with 12 months Helicopter and mountain rescue insurance! View galleries from our Enduro Motorcycle holidays in Bulgaria from the past two years. View videos from our Enduro Motorcycle holidays in Bulgaria from the past two years. 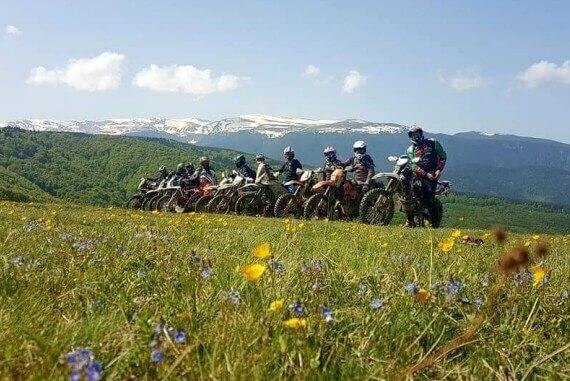 This page is where you will find our collection of videos and image galleries from our #BBSAdventure Enduro guided motorcycle holidays in Bulgaria. 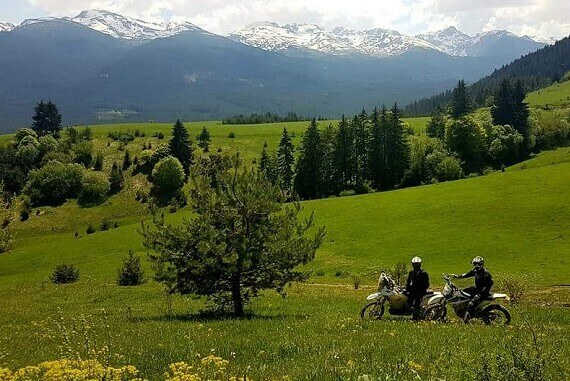 BBSadventure started in 2016 after a visit to the Rila Mountains of Bulgaria and seeing just how special this area is for all aspects of enduro riding holidays. Enduro and motorcycle friendly people, great food, amazing mountains and forests, great value for money and that feeling of wilderness and extreme is right on our doorstep. 3000 meters tall mountains and 80,000 hectares of open access, wild land to play on. Now we have experience of nearly 100 guests (Sept 2018) mainly riding their own enduro bikes, shipped by our company www.bulgariabikeshipping.com. Bulgaria bike shipping specialise in motorcycle transport from the UK to Bulgaria for adventure bike riders to create thier own motorcycle adventure ride in the Balkans, we have so many amazing countries within a few ours or a days ride from our base in Samokov, just 45mins from Sofia airport. BBSAdventure takes you further and higher than you have ever imagined a motorcyle guided tour holiday ever could. Want to join us? Contact david@bulgariabikeshipping.com now or sign up for our latest offers here. Bike rental and bike shipping holiday packages available. What are you waiting for?